Compass Pointe is a luxurious, gated, golf course community in Leland, NC and is located within minutes of Wilmington. While there is no age-restriction, active adults and young retirees find Compass Pointe's resort-like setting very appealing. 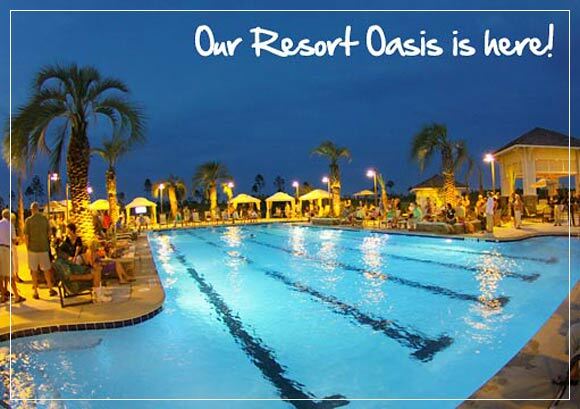 The list of Compass Pointe amenities and planned activities is second to none. Many of the area’s top home builders are developing homes within Compass Pointe including single family, golf course homes, water view homes, and Cottage & Craftsman style homes. Compass Pointe also features many move in ready model and resale homes that start in the mid 200's. There are so many amenities for Compass Pointe home owners to enjoy all located within the gates of Compass Pointe. The Grand Lanai Amenities Center is a multi-million dollar, 10,000 square-foot clubhouse that is the center of the community. Here Compass Pointe residents use the various rooms, fully stocked kitchen, resident lounge, and large flat screen HDTV area to meet with neighbors for fun activities and planned social events. Outdoors, a stunning resort-style pool that would make a Four Seasons Resort jealous and patio are great places to soak up the sun. Two lighted tennis courts allow residents to compete among friends and teams that they form and enjoy a great game or two before going back to relax by the pool. There is also a horseshoe pit and full court basketball court overlooking the large fish stocked lake with white sandy beach. Want to take a virtual tour of the Compass Pointe Grand Lanai and amenity center? The Pointe Wellness Center & Spa is a separate facility that offers a huge menu of wellness-related amenities. This 7,000 square-foot facility offers a state-of-the-art fitness center equipped with spin bikes, cardiovascular and strength-training machines. Group fitness rooms are available for various exercise classes too. After a good workout Compass Pointe residents can relax and rejuvenate themselves with spa services or sooth their muscles in the sauna and steam rooms. The Savannah is just one of the new craftsman style cottage homes by Southern Home Builders that sits perfectly on a pond-view water lot. This lovely homes layout features a study, a screened porch, tray ceilings, granite counter tops, built-in cabinets, stainless steel appliances, an integrated sound system, and a charming fireplace. The added bonus room with full bathroom and storage area is perfect for a weekend guest suite, home office, home theater, or other flex usage. The available homes for sale in Compass Pointe include custom built single family homes, model homes, cottage & craftsman homes, resale homes, and land lot home packages with your choice of the areas finest home builders in Leland and Wilmington, NC. Another great Compass Pointe advantage is you can purchase your dream lot today and have no time limit to build your home on it.